Whether from decay or accidents, missing several teeth is never a good situation. Those missing teeth can impact our speech, chewing and digestion, confidence, and cause constant pain. A healthy bite is essential for healthy living, and if you’re missing several teeth, then you need to consider your options for replacing those teeth. In this article, we’ll discuss the importance of replacing missing teeth, explain why dental implants are a great option, and the process of replacing several teeth with implants. 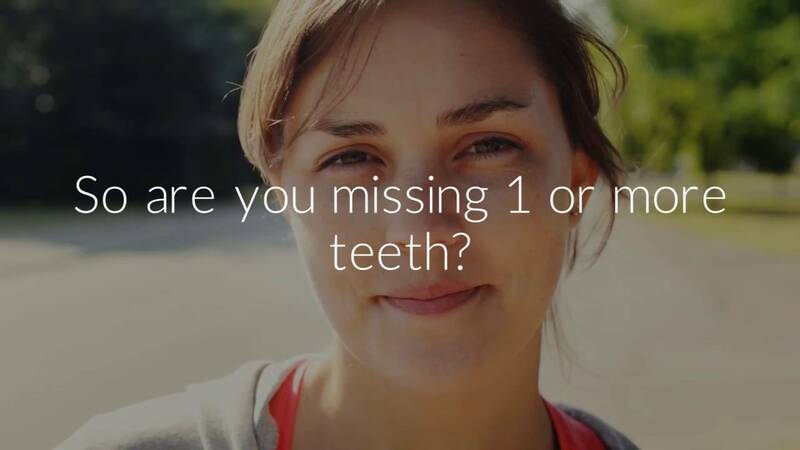 Missing teeth can impact the way a person eats, speaks, and looks. We often underestimate the important role that teeth play in digestion; not chewing properly can impact your body’s ability to absorb nutrients and process foods. And while looks may not seem important to you, you should know that studies have shown a healthy looking smile will increase your confidence and improve the way others perceive you. And of course, missing teeth can also compromise a person’s overall oral health. Increased pressure on surrounding teeth can cause pain in your jaw muscles, other teeth to chip or fall out, and your jawbone structure to deteriorate. To solve these issues, it is important to replace those missing teeth. Because of these reasons (and more), dental implants are a safer, more comfortable, and more enduring solution to replacing multiple teeth. Dental implants act as replacements for any of your missing teeth. Unlike dentures, they are a far more permanent and stable solution. Titanium posts act as artificial teeth roots and are inserted through your gums into your jawbone. These posts then provide an anchor for your new replacement teeth, which are shaped and designed in a lab to perfectly match the look and feel of your natural teeth. ●	Implants are sturdy - they won’t slip or move when eating or speaking. ●	Implants are permanent - you won’t ever need to remove them; they will be as secure as your natural teeth. ●	Implants are easy to maintain - you just brush and floss like natural teeth. ●	Implants are comfortable - they won’t pinch your gums or be a nuisance while speaking. ●	Implants promote healthy jawbones - the titanium posts give jawbones something to grow strong around, meaning you will prevent the collapse of the face that can happen with dentures. Dental implants can be used to replace a single tooth or every tooth in your mouth. Most dentists will provide three main options. 1)	The first is to replace every missing tooth with a titanium post and then attach a replacement tooth. 2)	The second is to create a dental implant bridge, where three replacement teeth are bonded together as one, and therefore only two titanium posts are required to act as anchors for the two outer teeth. The middle replacement tooth is attached and supported by the anchor teeth. 3)	The third is an implant overdenture, where several implants hold an entire set of dentures securely, thus providing a full set of secure teeth for a lower cost. The overdentures are still removable and need to be taken out each night for cleaning and sleeping. Talk to your dentist to determine which option is right for you. How Does Replacing Several Teeth Work? 1)	Consultation with your dentist: We will examine your mouth to determine how best to replace your missing teeth. For implants to work, you’ll need to have a reasonably healthy jawbone (although bone grafting can be used to strengthen your jawbone). Together, we will discuss your options and identify the best path forward. 2)	Instal the titanium posts: In one appointment, we’ll install the titanium posts that will act as roots for your replacement teeth or bridges. These will require several months to fuse to the bone properly before we can add permanent replacement teeth. During that time we provide temporary teeth so you don’t have to walk around with metal implants sticking out of your gums for the world to see. 3)	Replace the missing teeth: Once properly fused, we’ll attach the replacement teeth to your dental implants. Now you’re all set to enjoy your new set of permanent, strong, and comfortable teeth! If you have several missing teeth, you should know that there are options for you. Contact your dentist today to discuss your different options. If you’re in or near Albany, Georgia, then visit us here at Longleaf Dental. Our dentists have extensive experience replacing teeth and are passionate about restoring smiles for our patients. If you’d like to have a great smile, then contact us today to schedule an appointment.